These instructions walk you through recapturing (or re-importing) a document that is slow to open in the system. 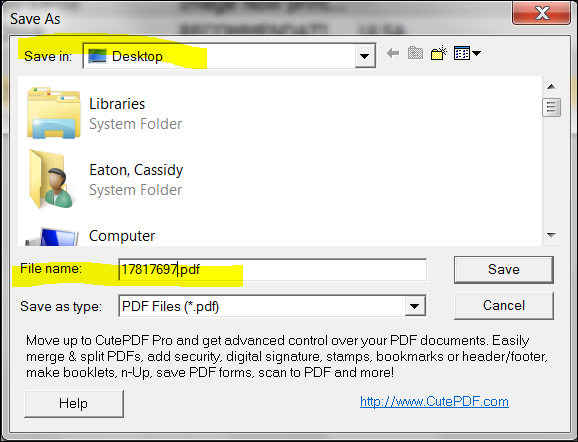 Recapturing the file via these steps typically makes it smaller which causes it to load faster. Locate the document that opens slowly. 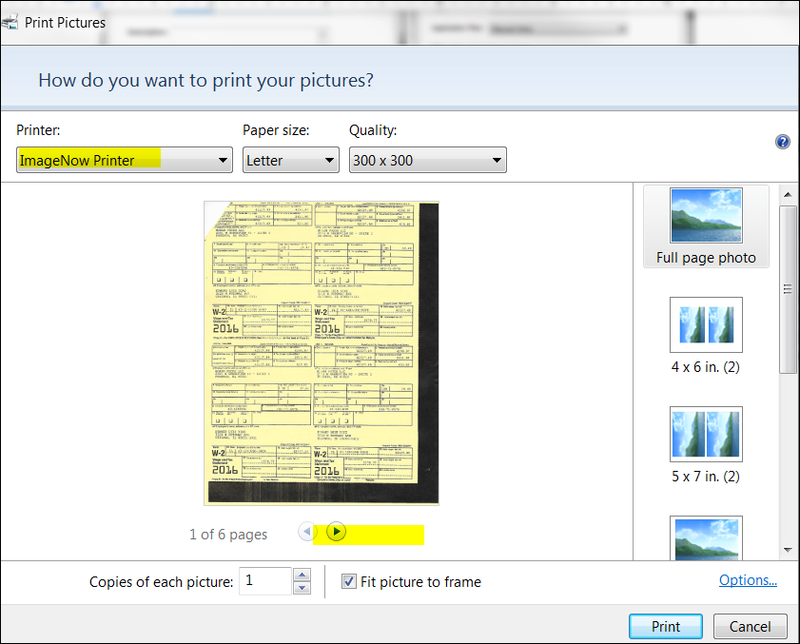 Right click on the document and select Print. 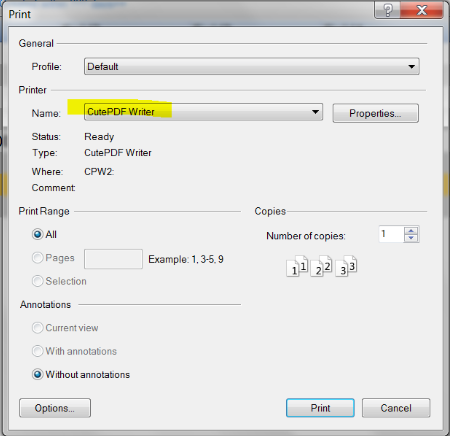 Choose CutePDF Writer as the printer and click Print. Choose the Save in: location the file should be save and enter the File name. Click Save. Navigate to the location you saved the document and open it up to review. Return to Perceptive Content. Right click on the slow document again, and choose Edit document keys. Update one of the document keys to contain another character which will make it unique. In this example, a b was added to the UMID in field one. 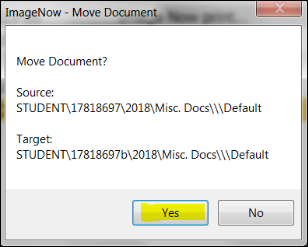 After you update the document key, click another document in the list. This ImageNow - Move Document box will open. Click Yes. The new document is highlighted in yellow. The old document is below. Once the new document is in Perceptive Content, review and make sure it opens as expected. If everything is adequate, delete the old version of the document and delete the copy you have saved on your computer. 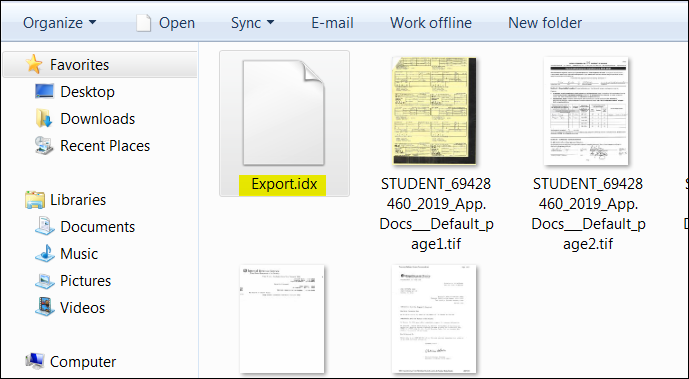 Create a folder on your desktop for the export to use. Right click on the slow to load file in Imaging and click Export. 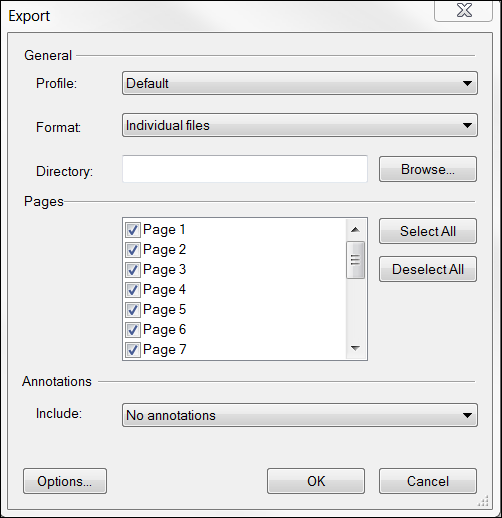 Choose the format of Individual files, click the browse button to choose the folder you created in step 1. Then click OK.
Once the files have been exported, open the folder on your desktop to review the files. Delete the file named Export.idx as it is not needed. Return to Perceptive Content. 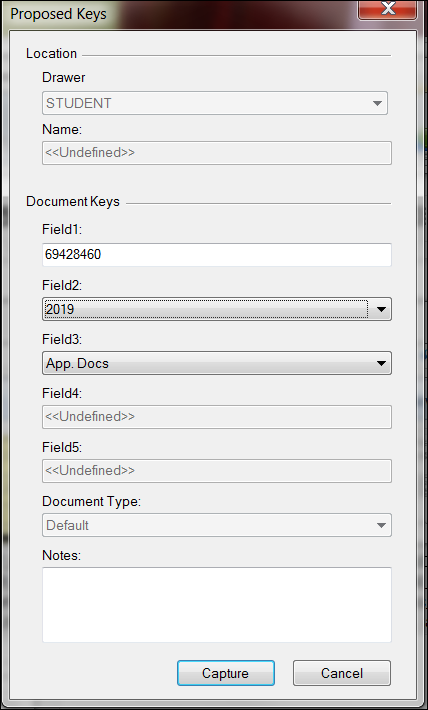 Right click on the slow document again, but this time choose Edit document keys. Update one of the document keys to contain another character which will make it unique. 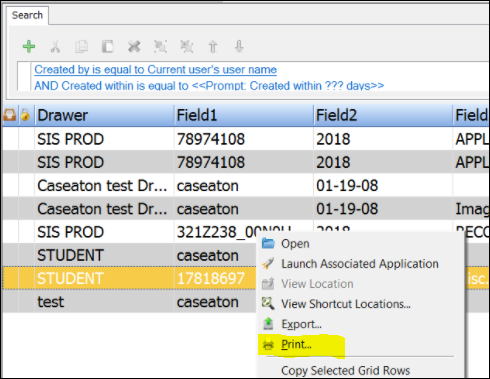 In this example, a b was added to the UMID in field one. After you update the document key, click another document in the list. The following screen will appear. Click Yes. Choose ImageNow Printer. You can scroll through the pages on this screen to make sure they seem to be in the correct order. Enter the Document Keys and click Capture. Review the document and if it looks correct, click Save. Once the new document is in Perceptive Content, review and make sure it opens as expected. If everything looks good, delete the old version of the document and delete the copy you have saved on your computer.